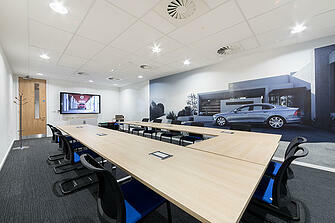 A UK training centre to reflect the Volvo brand. 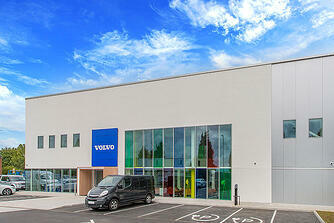 In 2017, Volvo built a new commercial training centre in Daventry. 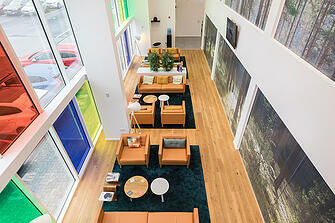 The building, over two floors, was designed to welcome and train people from the Volvo UK franchise dealerships. The building was to be home to 40 full-time staff with an allowance of hot-desking offering drop in spaces for other UK employee’s who come to Daventry. In addition 120 training delegates would be in attendance at any one time. 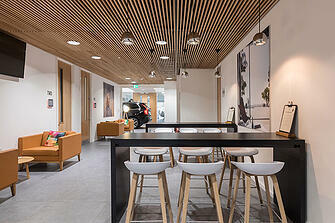 Insightful Environments was originally approached to look at furnishing the new building but as the relationship with Volvo grew, the project expanded to include space planning and design work. 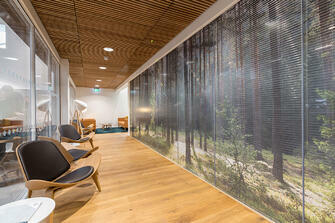 Volvo wanted the space to match the look and feel of its Maidenhead office and the Volvo corporate standards. 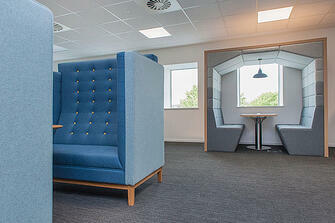 Our design focused on two open plan office spaces with areas for focused work, creative working and team collaboration. We also created flexible training and meeting spaces along with a large auditorium that could be adapted to various layouts. 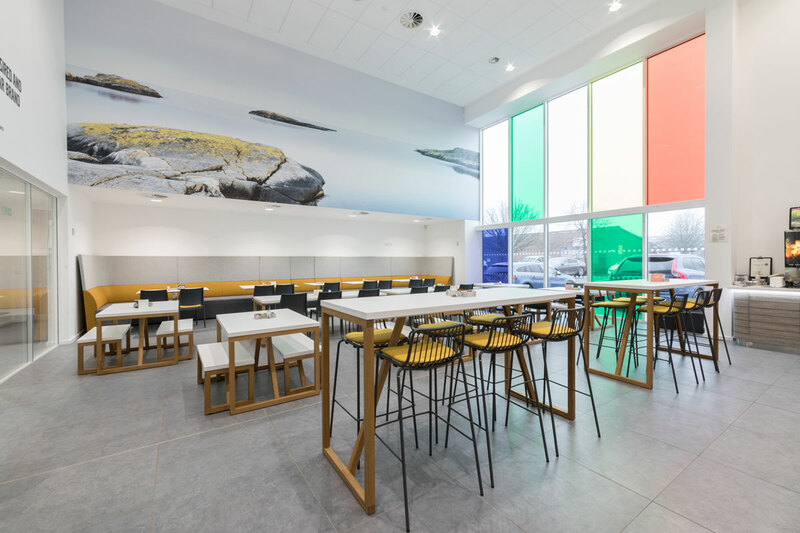 In addition, a workcafe / function space was created to cater for training delegates and employees to eat, meet or take a break. 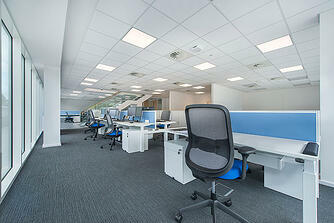 Services provided: Space planning, design, furniture specification, procurement and installation. 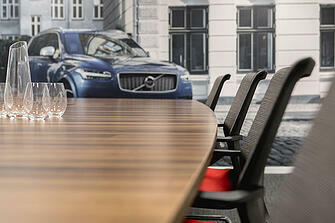 Drivers: Needed a new training centre to reflect the Volvo brand. A multi-use, adaptable space was needed to to adapt to different group numbers and activities. 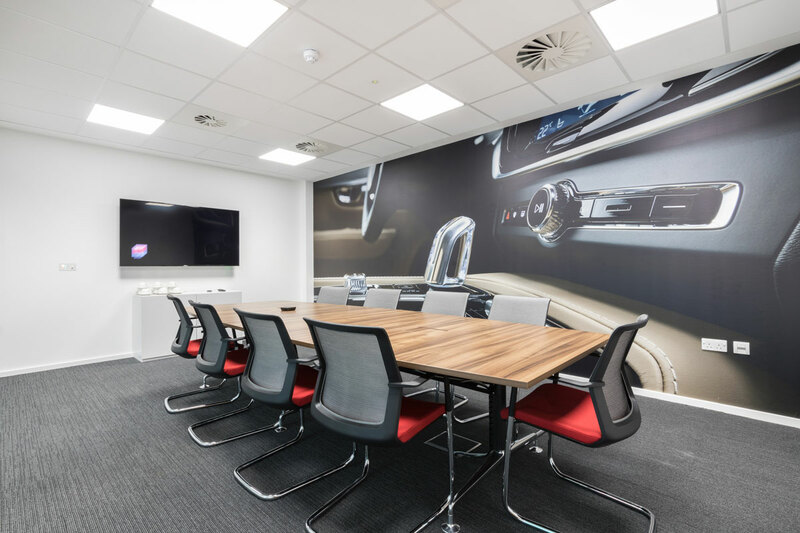 Outcomes: A flexible space designed for training and hosting different group sizes along with office space for resident workers and hot-desking. 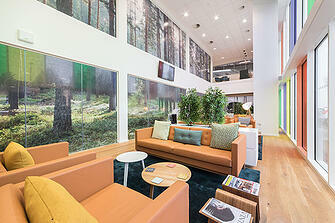 A Steelcase magazine exploring workplace research, insights and trends.